There have been numerous gadgets released in the past 10 years or so, but one that has proven very popular indeed is Apple’s iPod. Today an iPod docking station will now allow you to connect yours to a variety of different devices, as well as allowing you to listen to what is stored on yours through speakers instead of through headphones. However, there are numerous different forms of these now available so deciding which one to choose can prove somewhat difficult. Therefore, to help you make a more informed decision we provide a guide below that will help you better understand which of these docking stations suits your requirements. 1. What Kinds Of iPod Docking Stations Can You Get? c. A Dock that is Portable, which is very small and lightweight and operates on batteries. d. A Digital Clock Radio that also includes a digital DAB+ Radio. 2. 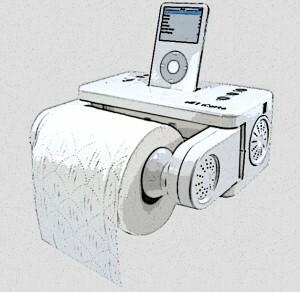 Will Your iPod Fit In Your Chosen Docking Station? When it comes to buying such a device the most important thing, you need to be looking at is your chosen one compatible with your iPod. This is important to remember as the connections used on the various iPods do differ somewhat. In fact, as every new variation of the iPod Nano, Shuffle and Touch have come onto the market; their size and shape have also altered. As a result of this, you may find that your particular iPod device may not fit the dock you have selected. However, although you can actually purchase an iPod dock designed specifically to use with your iPod be aware that there is also an adapter available that you can use to allow you to fit different iPods on to different docks. 3. Does The Docking Station I Have Chosen Allow Other MP3 Players To Be Connected? What you often find is in order to connect other types of MP3 players to your iPod docking station simply requires the connecting of a 3.5mm audio in jack to the dock and the MP3 players. However, although it will allow you to play any music stored on this device you need to be aware that it won’t provide the device with any power to keep it charged as it would when you connect your iPod to it. Hopefully, you find this guide useful and in turn buy an iPod docking station that meets your particular requirements perfectly. This entry was posted in Articles, iPod and tagged iPod docking stations. Bookmark the permalink.